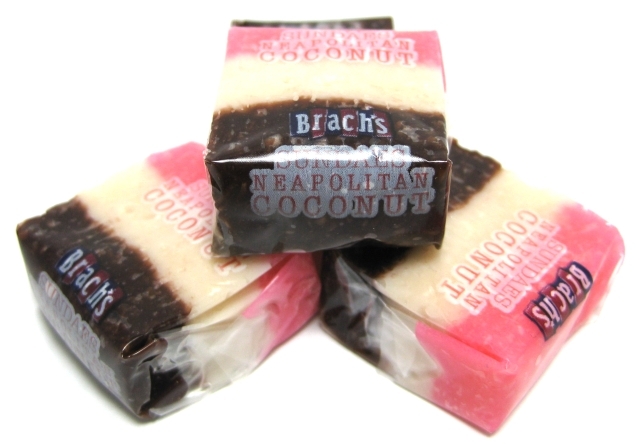 Those wide stripes of strawberry, vanilla and chocolate: it’s like childhood wrapped up in a neat little rectangle! It would be fairly easy to translate this color combination into a room, or at least bring the hues into a space as a subtle reference. The challenge is in accomplishing this without being too feminine, juvenile, or silly looking. 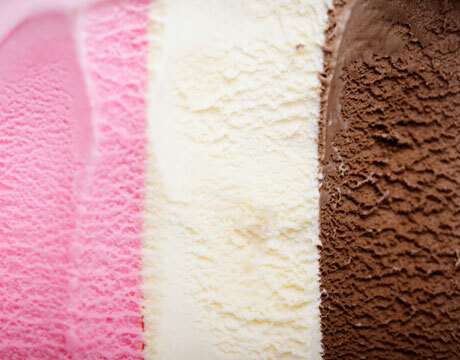 I think the choices below do the trick in terms of bringing some Neapolitan flavor into a home. 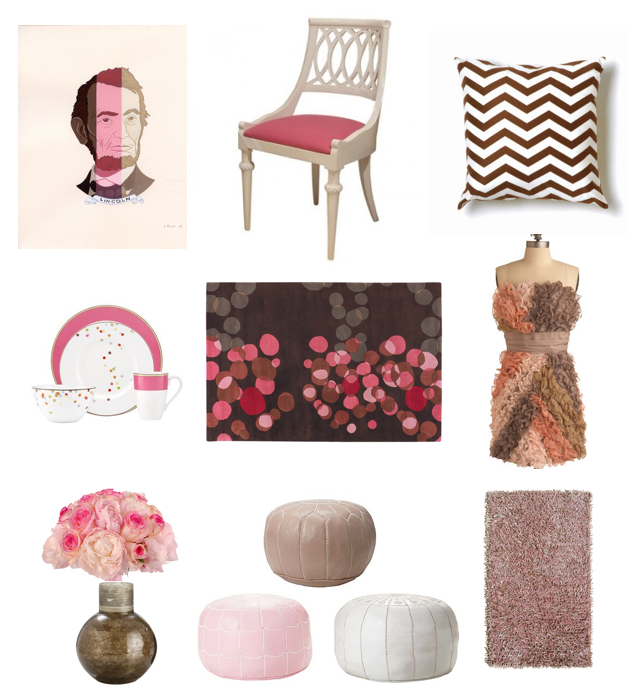 I especially love the NeoAbe print from Etsy seller JustinRichele, and I like how the seemingly solid colored rug catches you off guard when you look closely (it’s a mix of all three shades that comprise this lovely combo). …and the dress…oh, the dress! Enjoy taking a look, and go get yourself a big bowl of ice cream when you’re done! ← A Color Workshop – A Success! I want to lick the screen. Seriously.